Are you looking for ways to repair your credit in the new year? You may want to consider asking a close friend or family member with excellent credit history and credit score if you can become an authorized user on one of their credit cards. According to a blog post from Mint, becoming an authorized user of a credit card is even more effective for helping you repair your credit and boost your credit score than getting a secured credit card. In order for this to be a mutually beneficial transaction, the person you ask should be someone you trust. It is essential that you maintain an honest and transparent relationship with him or her. If the primary account holder misses payments or carries a high balance, those things can negatively impact your credit score. This can then sabotage all your efforts for repairing your credit. When you become an authorized user of a credit card account, the primary account holder's credit history is now copied onto your credit profile. This is what helps to boost your credit score. There are three things that make up your FICO credit score. They are your payment history, the length of your credit history and the amount of debt you have. Linking up with a credit card account that is in good status means little or no debt as well as a history of making payments on time. For example, many young people become authorized users of their parents’ credit cards to build their credit history before they’re able to get cards of their own. One thing to keep in mind is that not all card issuers report authorized user activity. You want to call and make sure to find this out before going down this road. When you become an authorized user, you have zero responsibility for the debt on the credit card. If the primary account holder stops making payments on the credit card account, this will now be on your credit report. The good part is that you are not responsible for paying the debt. The same goes for any debt you may add on to the credit card account. You are technically not responsible for it, the primary account holder is. If you think there is any chance you would run up a bill and be unable to pay it, don't become an authorized user. 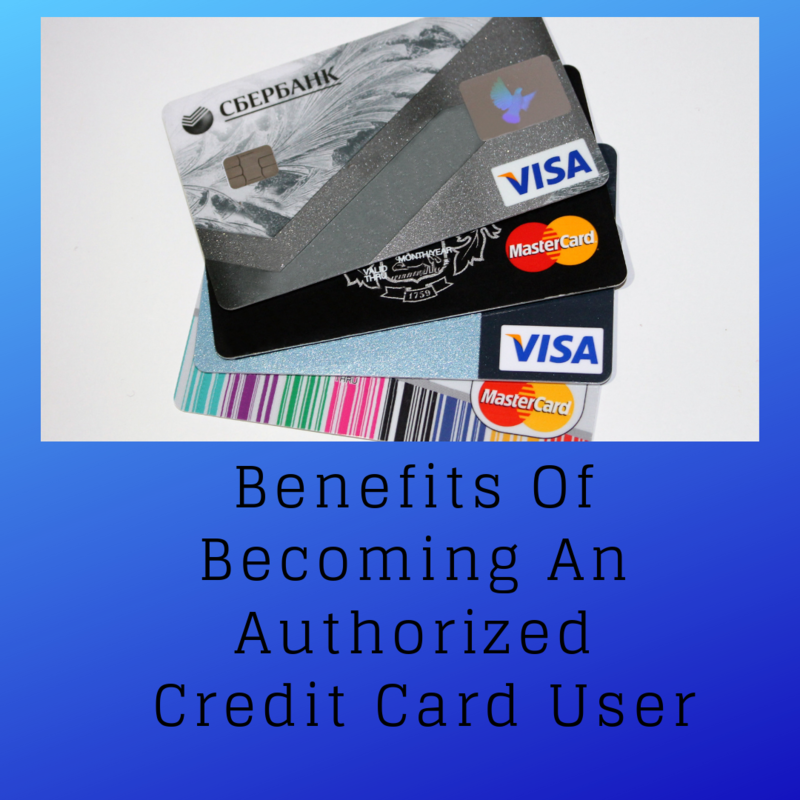 Becoming an authorized user is one of the best ways to get access to credit. It can help you gain access to other things even if you never use the credit card account. Renting a car, or booking an airline ticket all require a credit card. As a married couple, there is a nice benefit to becoming an authorized user if one spouse has a good credit history. Your own credit history will improve over time and when it comes time to make any big purchases (house or car), you will typically get better rates if you both have good credit history. Deciding to become an authorized user of a credit card is something that should not be entered into lightly. You should set clear expectations from the beginning regarding your credit goals. If you’ve been struggling to repair your credit, becoming an authorized user of a credit card in addition to working with a reputable credit repair company can be just the tools you need to finally repair your credit in 2019.